A missing tooth is enough to leave you feeling embarrassed, self-conscious and hesitant to share your smile with others. Although traditional types of tooth replacement are reliable and effective, there are no options quite as promising as dental implants with Dr Meng Quah-Shepherd (Dentist). 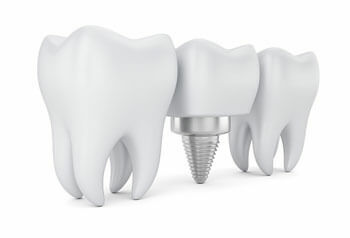 Implants act as a biocompatible, artificial tooth root that sets within your jaw, next to natural teeth. They are extremely predictable and capable of supporting fixed restorations that restore your smile’s function as much as its appearance. From single tooth implants with a crown to a full arch denture that’s secured over as few as 2-4 implants, these rehabilitative restorations are both durable and beneficial to your smile as a whole. Getting implants calls for a series of different appointments until the final restorations are set in place. From your initial examination to the surgical installation and healing phases, most of our patients complete their treatment in about 3-6 months. Before setting your eyes on dental implants, we need to ensure that your mouth is healthy enough to support them. During your consultation, we will discuss your goals, current oral health status and potential medical considerations that may come into play. An exam and X-rays will help to determine if there’s enough bone in place prior to initiating the treatment. Learn more about what modern dental implants can do for your smile’s future. Contact us today to book a visit to get started!